We have an accredited workshop coming. The Diagnosis Foundation (DxF) created the YogAnalysis program to assist yoga practitioners learn how to listen to their body through assessments. The program involves 108 tests of individual muscle strengths and ranges of motion. From these assessments, the practitioner is given a customized yoga program that is attuned to their body. Whatever your level of health or conditioning, YogAnalysis will help you avoid injuries and improve faster with your yoga. YogAnalysis is now available for individuals to be assessed at Long Island Integrated and Yoga Integrated at 2805 Veterans Memorial Highway, Suite 8, Ronkonkoma, NY 11779 Call: (631) 440-7007 for additional information. Or make an appointment HERE. The Diagnosis Foundation and their YogAnalysis program are now a member school with the International Association of Yoga Therapists (IAYT). 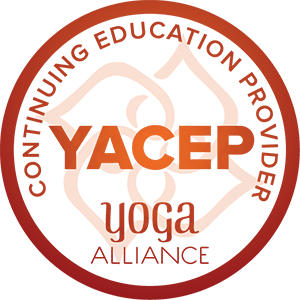 YogAnalysis has Approved Professional Development (APD) workshops, accredited by the IAYT as well as the Yoga Alliance and may be taken for continuing education credit. Contact Info@YogAnalysis.org for more info. The Diagnosis Foundation’s strategic plan calls for initiating the College of Diagnosis educational program with courses that focus on one of the fundamental areas of human health. Diagnosing biomechanical integrity and function is a major causal factor for one of the largest areas of human disability – joint pain and arthritis. The discipline of muscle strength testing and restoration of balance has been shown to be beneficial in preventing and treating these conditions in a way that is well supported by evidence and financially attractive for a sustainable health care system.